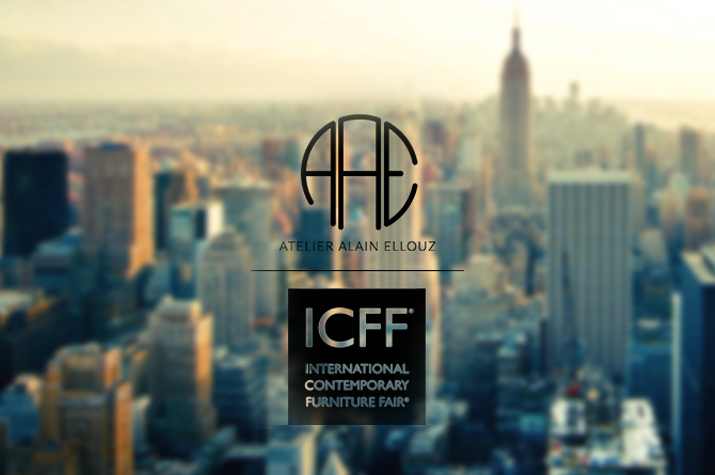 The 30th edition of ICFF (International Contemporary Furniture Fair) will be held may 20-23 and yet again Atelier Alain Ellouz will be there! This unavoidable design fair brings together no less than 36,000 professionals, including the most famous architects and designers. A great opportunity to discover the latest trends in design and also our lighting collection! This 2018 edition offers a world tour of design with more than 700 exhibitors from around the world, as some meetings with designers. Maria and Véronique, our US team, will be happy to present you our large alabaster lighting collection. You can also discover our rock crystal lighting collection and of course, meet our CEO, Alain Ellouz. See you soon at the Javits Center from May 20th! Welcome to Gaël, our new business manager in our showroom in Mayfair ! Atelier Alain Ellouz is happy to welcome its new London Business Development Manager, Gaël Combettes! This native of Carcassonne and former communication advisor to the European Parliament has left Brussels and politics out of love! It is indeed by falling instantly in love with Alain Ellouz work and also to join his british companion that Gaël decided to move to London, the European capital of design. Despite this change of lifestyle and his eclectic career, Gaël has always been passionate about design and french luxury. It is therefore natural that he turned to this new challenge and joined our team to develop the promising market of the British capital.